Tasty Whitebait fritter stall, originally uploaded by Mister Wind-Up Bird. “What is whitebait?” I hear you ask. 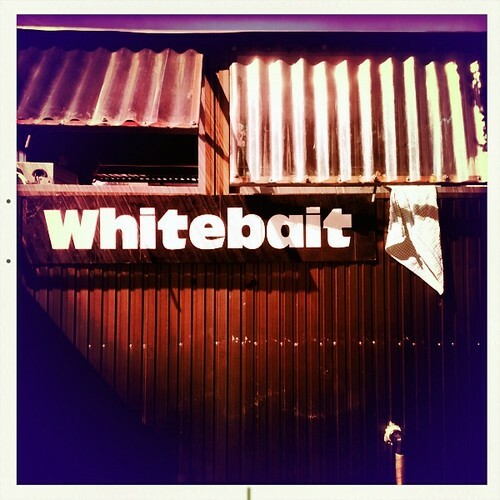 “Whitebait are tender and edible, and can be regarded as a delicacy. The entire fish is eaten including head, fins and gut. Some species make better eating than others, and the particular species that are marketed as “whitebait” varies in different parts of the world.